Chris Hancock is the principal owner of Rich & Cartmill, LLC. 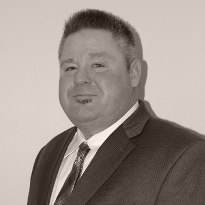 A graduate of Indiana University, Chris has more than 25 years of experience in the insurance industry as an agent, the past 22 of which he spent working for a national insurance agency before opening Rich & Cartmill, LLC. Chris, who is currently a student at Indiana University Southeast working toward a master’s degree in strategic finance, is known for his commitment to serving clients and providing the standards of excellence he would expect. The Southern Indiana native enjoys riding motorcycles and ATVs, golfing, college football, cooking and lending a hand to those in need in the community.